Community Choir at Alfrick is proud to have shared our 2017 summer concert with the a cappella male vocal group GR-VIII (pronounced 'Great') at Cotheridge Church on Saturday 29 July. GR-VIII appeared at this concert to raise money for the Midlands Air Ambulance. 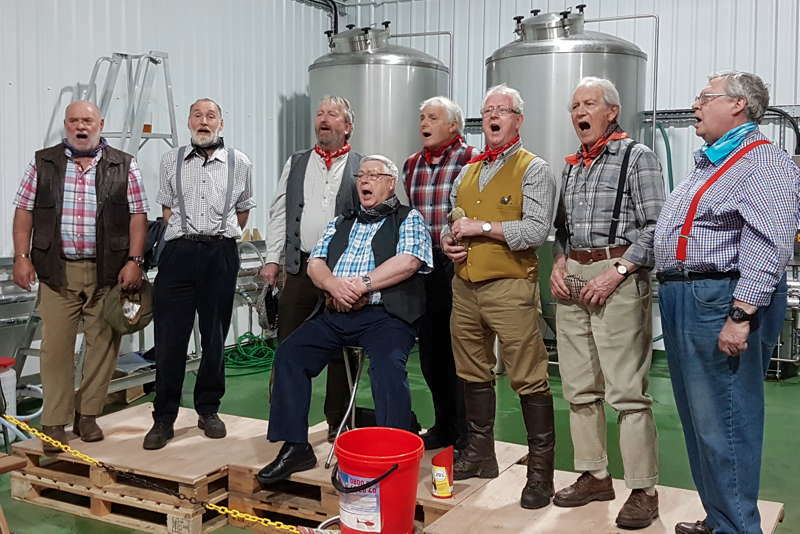 The concert was very successful, despite the unseasonably bad weather, attracting an audience of over 100, and entertaining them from 7.30pm until about 10.15pm. 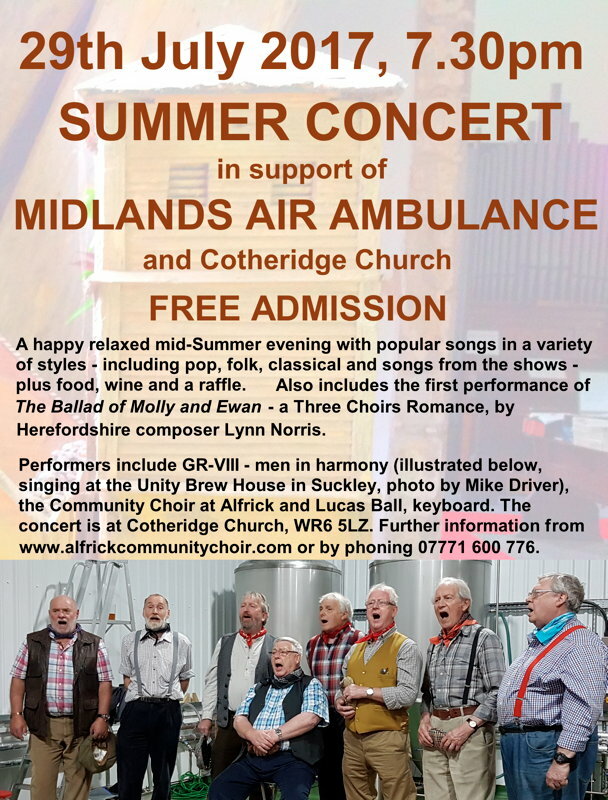 We raised over £500 (after expenses), from donations and raffle tickets, which was shared equally between Midlands Air Ambulance and Cotheridge Church. The success was in part due to six very generous raffle prizes, provided by local businesses. GR-VIII's performances included two spoken numbers, including a very funny rendition of Joyce the Librarian, for which they borrowed Lou Ruane from Community Choir at Alfrick's alto section! The Community Choir's contributions to the evening included the first two performances of The Ballad of Molly and Ewan by Lynn Norris. Download the programme sheet for this concert.